This story is a bit different from what I typically share. It starts with Ben and I moving into our new home in a little country town a little outside of Nashville. We are absolutely in love with it - as two people that are literally on planes (or sometimes a tour bus in Ben's case) every week it feels so incredibly comforting to come home to a quiet place where everyone is genuinely neighborly. On our first weekend here we went antique shopping, something that's become a regular thing when we're home together. Upon arriving at the first shop on our list we met another couple that share that same routine. Their names: Nathan and Jean. Like me, Nathan's a writer, and like Ben, Jean's a musician (that's her up in the photo above). Been in the new house for a full week. My first friend in Gallatin is a man in his late 70's named Nathan who I met while buying a couple pieces of furniture at a flea market outside of town. He came up to me and started speaking fluent spanish, and we quickly figured out that we both lived in Mexico in a town called San Miguel de Allende. Yesterday I went to Nathan's office to return a photo book he dropped off at our house a few days before. He then told me to hop in his car and we went to go visit the famous ragtime piano player Johnny Maddox. Afterwards he took me all around the town telling me the history of Gallatin, including a stop to feed his chickens. He ended the hang by dedicating a book he wrote about the art and mystery of Tennessee furniture makers to @ouiwegirl and I, and gave us some feathers from his peacocks at his house. It was a great day in my new town, and very glad to have a new friend. We chatted a bit that day at the antique shop and in that convo learned that Ben and Nathan shared a few other commonalities: Ben spent time as a little babe living in San Miguel de Allende, Nathan has a home there (and loves it!) now. Jean on the other hand has been traveling to New Orleans for years - it inspires her music and her home decor, and of course it's where Ben and I come from! Ben and Nathan bonded over their love of Mexican art and culture, Jean and I bonded over tales of French Quarter fun, and truly Nathan's become a fabulous friend to Ben. After a few visits with one another Nathan brought Ben to a local assisted living home to meet a fellow piano player - a resident of the home who happens to have a star on the Hollywood walk of fame (read the whole story on Ben's insta post). Fast forward a bit, Ben and I have been discussing ways we can get involved in our little community and it occurred to us! With the holidays approaching what a perfect time to spend a little more time sharing Ben's music with the residents at the home. There's so many studies showing the positive effects of music on the quality of life for older adults, especially those living with forms of dementia. It has the power to boost mood, fill the spirit and calm the mind. Music transports us all to joyful times, and for older adults it can evoke beautiful memories from the youth. The more we researched we learned that music has become a staple in assisted living and nursing homes. We decided to work together to create care packages for the residents that Ben's visited, and then to get dressed up in our New Orlean's best and visit the home for Ben to play music. We'll be going throughout the holidays and of course, because everyone is always so enthralled with our New Orleans background we're giving the packages a little Big Easy flair too. Sam's Club Family Caregiving offers a delivery program of medical, nutritional, incontinence & personal care products. In addition: they're a one-stop destination for their members for caregiving needs, including prescription refills, personal care products, and free health screenings. A copy of my book "New Orleans Style"
Want to create your own package and not sure what to get? When you download the Digimarc Discovery app (a barcode scanning app used by lots of retailers) you can scan anywhere on the Depend package and it will send you to the Sam’s Club Caregiver website. There's a full list of items that are perfect for care packages there. 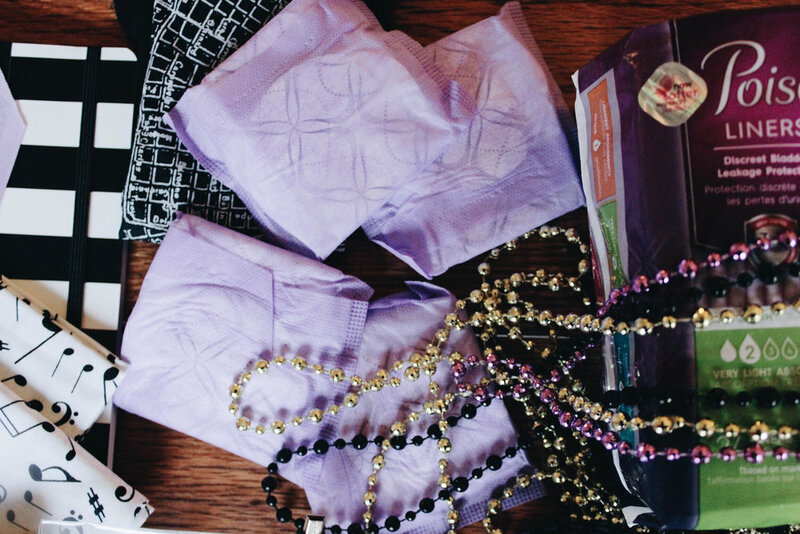 I specifically packed the Poise® Liners - Light Absorbency (2 dot) into our package, designed for Light Bladder Leakage, Poise® incontinence liners stay 3x drier than leading period-only liners. There's also a Depend® FIT-FLEX® Underwear for Women a soft, breathable slip on with a smooth, close-to-body fit. Get more details on the Depend products and information on Poise too. 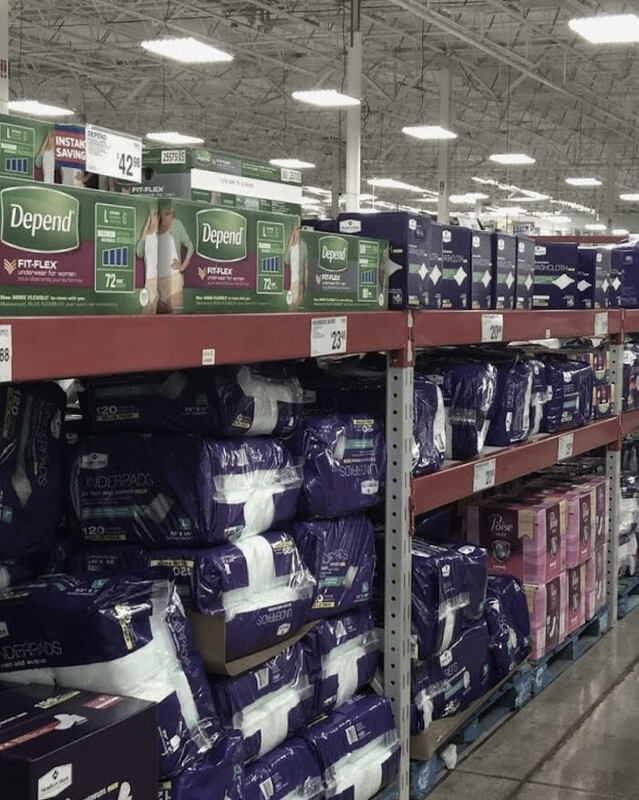 There's new packaging now available on both products at Sam's Club: the packaging shows just how much you save by shopping at the club. I'm so glad to have the partnership with Sam's! The caregiver program truly brought our care packages to life! I'd love to hear from you guys - what are you doing that's extra special in your own communities for the holidays? Leave me a note in the comments below!